White card with border of baby things (sun, booties, rocking horse, bottle, baby toys, etc.). 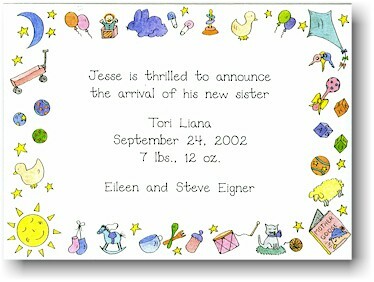 White flat card with border of baby things (sun, booties, rocking horse, bottle, baby toys, etc. ).